Lately I have heard a lot of talk about people wanting to leave the State of Michigan. I can understand this is your reason is related to employment but what I can’t understand is the people who say things like “There’s nothing to do in Michigan”. I can only assume these people have never left the Metro Detroit area. The Sky Pilot of the Great Lakes, Rev. William H. Law (my Great-Great-Grandfather), travelled a lot for his mission to better the lives of the Life-Savers and Lightkeepers and I cannot visit a lighthouse or life-saving station anywhere in the Great Lakes today without remarking on the fact that he was already there 100 years ago. Rev. Law was the first homesteader in the Les Cheneaux area and a good portion of the story in the Sky Pilot of the Great Lakes takes place in this area. 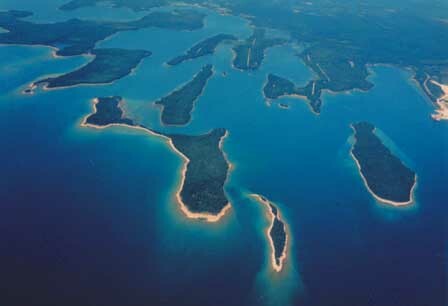 The Les Cheneaux Islands (Les Cheneaux is loose spelling of “The Channels” in French) are a group of 36 small islands, some inhabited, along 12 miles of Lake Huron shoreline on the southeastern tip of the Upper Peninsula of Michigan. My parents used to take us here in the summers to visit with other descendants of W. H. Law. If you’ve never taken a boat or kayak ride through “the channels” then you’re missing one of the many great things Michigan has to offer. 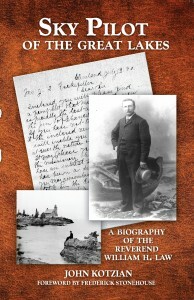 The Les Cheneaux Historical Association was a big part of my research for the book and now that it is published they have graciously asked me to present the story at their museum. For more information on this and other event in the area you can visit the LCHA and Les Cheneaux Islands Tourist Association. I was fortunate enough to have lived in the Keweenaw Peninsula for 5 years while attending Michigan Tech University in Houghton. This portion of the state is rich with history, glorious geology and unparalleled natural beauty. Those of you who have visited the Keweenaw Peninsula know what I’m talking about and those who haven’t; well you have no idea what it is you are missing. Rev. 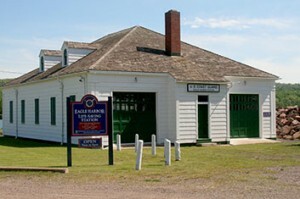 Law was a regular visitor to many of the locations in the area and a major part of the story in Sky Pilot of the Great Lakes includes the United States Life-Saving Station at Eagle Harbor. Eagle Harbor is one of the Jewels of the peninsula. Almost as far north as you can go on the peninsula, the small town sits on a beautiful harbor dotted with large rock formations. On the east side of the harbor you will the Eagle Harbor Lighthouse and on the west is what remains of the USLSS Station. The only remaining building at this location is the Boathouse which is now a museum. The Keweenaw County Historical Society has asked me to be a part of their Open House on July 26th. I’ll be holding a book signing at the event and giving a presentation on the Sky Pilot of the Great Lakes and how Rev. Law’s life story ties in with the station and its first keeper, Capt. Albert Ocha. For more information on what the Keweenaw Peninsula has to offer please visit the Keweenaw County Historical Society’s website and the Keweenaw Convention & Visitor’s Bureau. The Pte. Aux Barques lighthouse and life-saving station sits on a point in Michigan’s “Thumb” about half-way between Port Hope and Port Austin. It is a must-visit location in the area and a truly beautiful location. The grounds and museum are well worth the visit especially if you are into lighthouses and life-saving history. This year I’ll have the privilege of being a part of the Pointe aux Barques Lighthouse Society’s 10th anniversary festival. 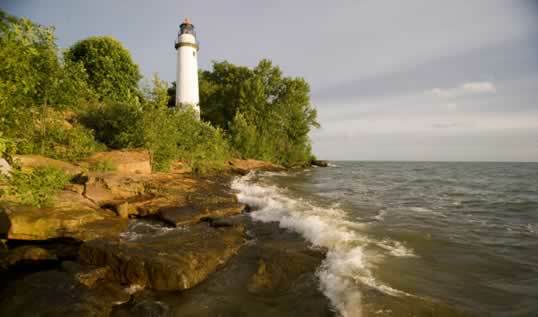 The location also has a connection to the life-story of the Sky Pilot of the Great Lakes, Rev. W. H. Law. By 1902 Rev. Law decided he could better serve his “parishioners” if he owned a vessel that could easily navigate the Great Lakes and carry his payload of reading materials, fruits, candies and other items with him. Keeper J. H. Frahm of the Pte. Aux Barques station had built the perfect vessel at the station and Rev, Law made arrangements to purchase it from his friend Capt. Frahm. Christened it the “Dream”, Rev. Law and his new vessel would sail the Great Lakes, St. Lawrence and portions of the Atlantic Coast visiting all the stations along the way from 1903 until 1928. 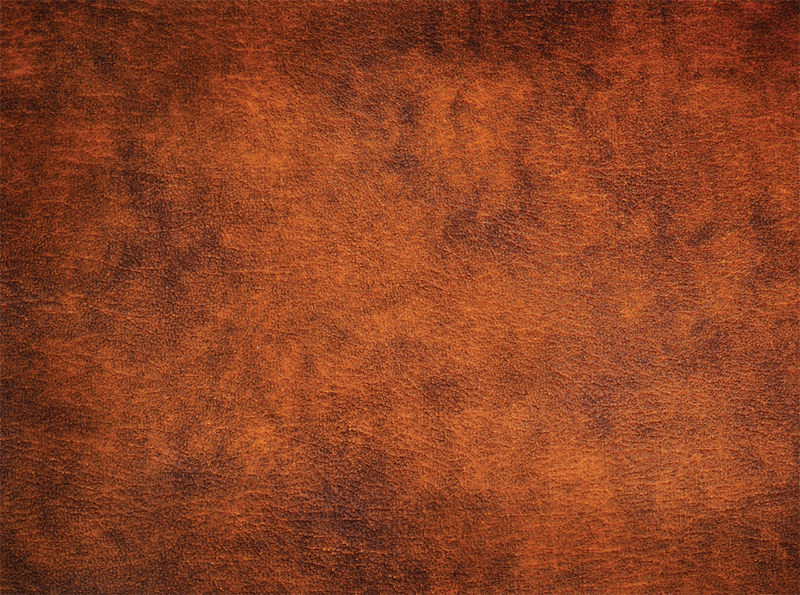 For more information on Pte. Aux Barques please visit the Pte. Aux Barques Lighthouse Society’s website. Alpena, Michigan, located on the shores of Lake Huron at the mouth of the Thunder Bay River is rich with nautical history. From its many area lighthouses to its underwater shipwreck preserve and it’s many maritime museums, Alpena is a treasure trove for those who love Michigan maritime history. It also has the distinction of being the home of the Annual Great Lakes Lighthouse festival, a four day event that boasts thousands of yearly attendees. Alpena also happens to be part of my old stomping-grounds. I grew up in Hillman, MI as small community about 22 miles west of Alpena and in all that time I have never actually made it to the festival. Well, that ends this year as I’ll be manning an author’s booth at the festival this year. For more information on the festival please visit their website. 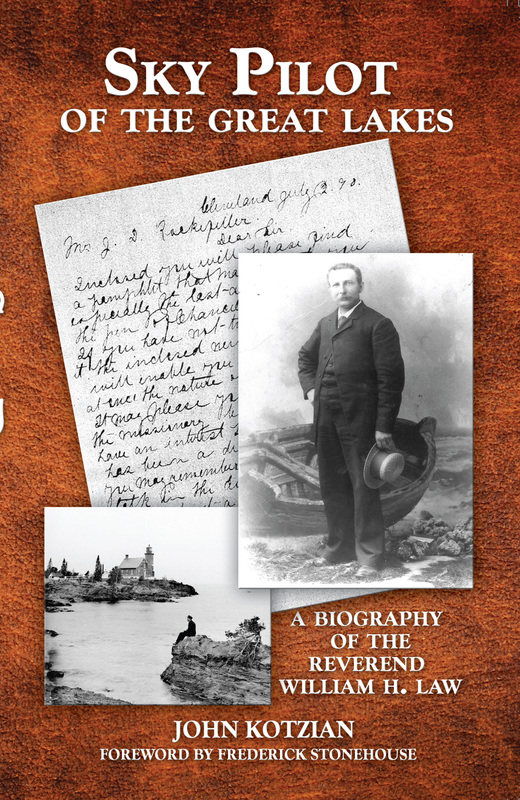 “You can’t have a complete understanding of Great Lakes maritime history until you read this book.” – Frederick Stonehouse, Maritime Author and Historian. Amazon.com, Avery Color Studios, Barnes & Noble and retail locations around the Great Lakes Region.